The Gifted Wrapper (Damon Wayans) shares some rhymes with Cabrini Green Jackson (Danitra Vance). This may have been a well-intentioned way to open tonight’s show on a festive note, but it wasn’t very good. The cheesy rapping and over-earnestness of the piece makes it almost embarrassing to watch, and doesn’t really come across as the best use of Wayans or Vance, the latter shoehorned in as Cabrini Green Jackson in a scene that could have her play a generic unnamed character. There are some laughs coming from Damon Wayans screwing up on one of his lines and losing the rhythm (“…trying to play big shot…yeah.”) and Vance responding with a few rhythmic “ha-ha-ha, ha-hahaha”s. Written by Damon Wayans; this would be his only sketch appearance tonight. 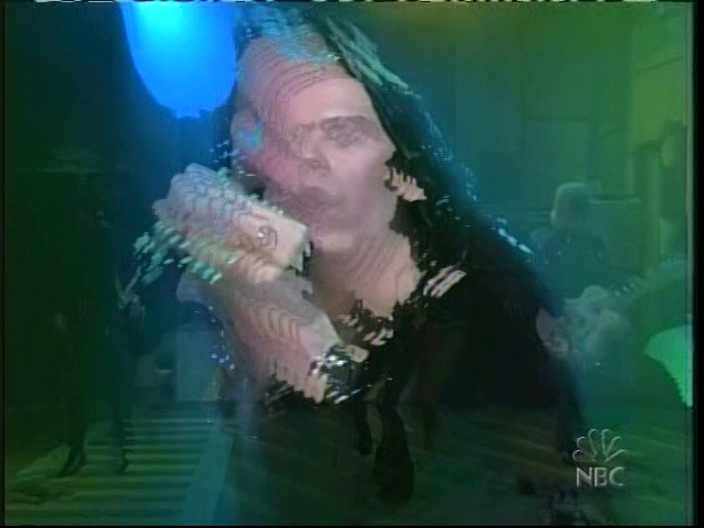 The NBC “In Stereo” graphic has changed from the two diverging “Proud N” logos to a blue monitor with headphones and the then-current NBC peacock. The cast’s names are in a slightly smaller font with an outline/shadow around the text, and there are some adjustments to the justification on Robert Downey and Danitra Vance’s credit. Terry Sweeney also has a slightly different still for his credit. Don Novello is credited as “Maurice” tonight, continuing the People’s Catholic Church running piece introduced in the 11/23/85 show. T-Bone Wolk is back with the SNL Band tonight. Dressed in a Papal Pantsuit, Teri Garr has become Pope Lois in the People’s Catholic Church. Pope Maurice (Don Novello) discusses the Church’s financial woes before joining her on a duet of “I Got You Babe”. .Garr dpesn’t really have much to do (pretty much par for the course of all her SNL appearances) and is mostly setting up Novello’s bit (which I’m guessing is a re-working of a Weekend Update desk piece that was cut after last week’s dress rehearsal), beginning with a re-explanation of the People’s Catholic Church. Novello has some funny moments (discussing accusations of embezzling stamps from the self-addressed stamped envelopes, he promises to pay the money back), but the duet at the end wasn’t necessary. The Christmas tree lot in front of the home base stage’s adult video store was a nice touch. Peasant girl Tandalaya (Teri Garr) has been bought and sold for the price of a dozen eggs since she was 16. The was a more “writerly” piece; kind of an odd one to start the show with, but I enjoyed the whole deconstruction of exchange rates between egg sizes or eggs and bacon, as well as the visual of Quaid literally paying for his night of pleasure with the carton of eggs. The big weakness was the lengthy stock-footage sunset and sunrise interludes between scenes; I see why they needed transitions, but the length they were on screen made it feel like they were padding the sketch out . 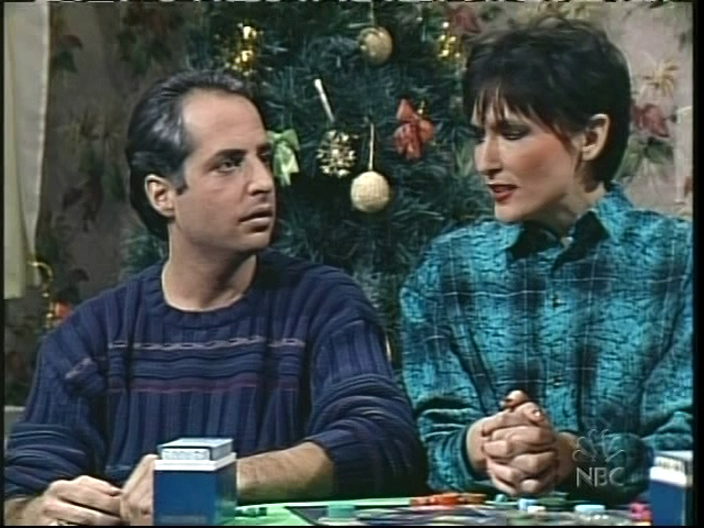 Is Jon Lovitz channeling a specific actor with his character at the beginning of the sketch? There are some interesting overhead camera angles in this sketch. The Deavers’ maid Hildy (Terry Sweeney) handled the family’s Christmas tasks herself, as well has her own “reward”. This one was pretty weak; Sweeney tries his best, but the main concept of the sketch felt a little too obvious and hokey for my tastes. I did enjoy Joan Cusack’s line about how she would have to “get [her] life together and be a real wife and mother” if it weren’t for Hildy. Written by Carol Leifer and Al Franken. ﻿A solid performance of their most well-known song, and I find its wistful and melancholy atmosphere really feels appropriate for a Christmas show. 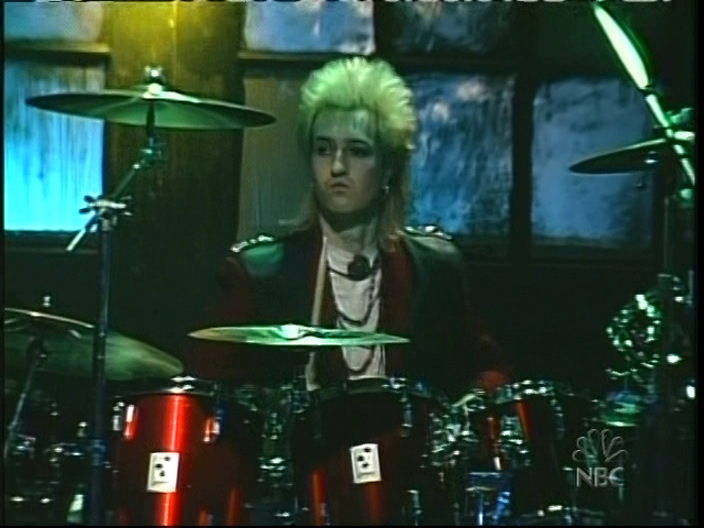 The percussionist playing in the background ends up stealing the show here. The Reagans get a new dog. Not a rateable segment; this is just a short teaser of found footage with a Pardo voice-over, but it’s the only time the Miller era had a teaser before Weekend Update at the midnight station break, something the show used to do regularly during 1977-79, with (usually) Curtin giving a photo-based one-liner before the network promo. The interview with Mob informant “Mr. X” (Don Novello) about that week’s murder of Paul Castellano has a few funny moments (some of the petty complaints, naming Ted Koppel when Miller presses for names), but goes on for far, far too long; even the poor job at obscuring his face becomes tiresome quickly. According to Getty Images, there was a desk piece with Anthony Michael Hall that was cut after dress rehearsal. 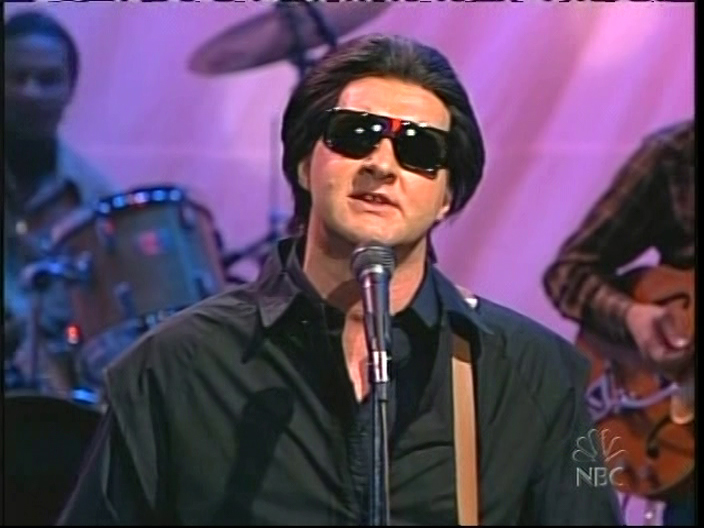 The unaired six minutes of an NBC special features Roy Orbison (Randy Quaid), Connie Stevens (Teri Garr), Leslie Uggams (Danitra Vance) and more. 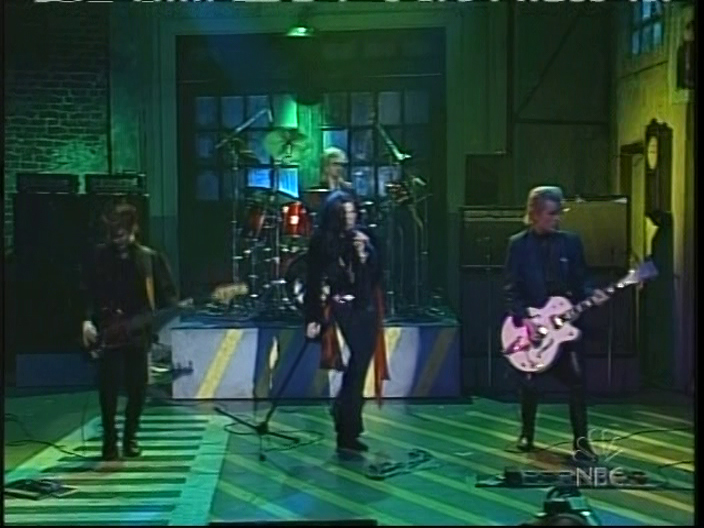 Good use of the SNL Band here, but the audio mix is pretty off in this sketch, with the vocals from the SNL band members sometimes louder than the other performers. Who is the first Clamdigger on the left (right next to Terry Sweeney) during “Santa’s Little Surfer Girl”? Anthony Michael Hall makes his first live appearance on the show in almost a month in a short walk-on at the end as Edd “Kookie” Byrnes; the obviously taped audience screams when he first appears are followed with some real screams a second later. Teller breaks character as the Incredible Electric Boy after Penn criticizes his performance. Another solid routine from Penn & Teller, with Penn Jillette doing his best carnival barker imitation (and managing to show off his fire-eating skills), and this has a nice quick explanation of how the trick works before Penn takes his turn in the chair. When Penn criticizes Teller’s overacting, he says it looks like an SNL sketch, and that they may as well have Randy Quaid or Terry Sweeney in the role, and the latter could “get some laughs” by doing it in drag. A disaster film about a giant tree with an unsuitable support structure. This lengthy spoof of Irwin Allen melodramas finds a way to work in the entire main cast (even Dennis Miller shows up as a corrupt senator), and has some funny moments (the fake set with the tree) and performances (Nora Dunn as the drunk wife, Robert Downey Jr. as the sleazy son-in-law) but plays mostly to a silent audience; I have to give them points for ambition, though. Anthony Michael Hall’s performance as the “washed up geologist” is so bad it’s funny, with Hall obviously glancing back and forth from the cue cards throughout his scene, and doing an exaggerated face at the end. I liked Cusack cheerfully suggesting that Downey’s shoddy construction saved the city. More padding, this time with a 30-second introduction of the cast at the beginning. After the commercial break, Teri Garr reveals there wasn’t sufficient audience interest in continuing with the second part of “The Big Tree” and resolves the big cliffhanger before introducing The Cult. Not rateable, but I did appreciate the format break. 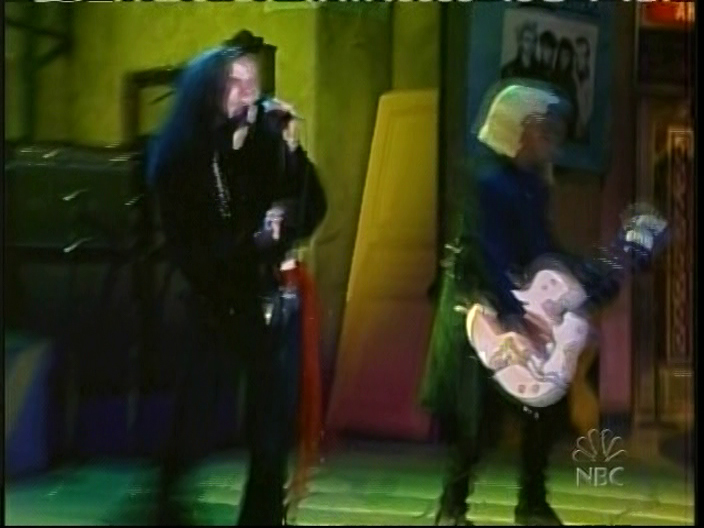 L﻿ead singer Ian Astbury gives a loose and animated performance of the band’s commercial breakthrough from their Love album; guitarist Billy Duffy and bass player Jamie Stewart do a good job translating their parts to live performance, while stone-faced new drummer provides a foil to his bandmates. Unusually, a Scanimate (or Scanimate-style) motion blur effect is added from time to time, which fits the song’s atmosphere pretty well. Bobby’s (Anthony Michael Hall) time-travel excursions with his science project affect the answers to the trivia game his parents are playing. It’s a little short of being a classic, but the altered answers make sure this has more going for it than a lot of tonight’s sketches (particularly “Adolphe Menjou, the movie actor who enslaved millions” and Nora Dunn’s character being the one who broke Babe Ruth’s home run record). This uses the same set as the Hildy sketch earlier in the night. Who is the older man that joined everyone on stage? A step down quality-wise, with a generally tired aura throughout the night, and lot of sketches featuring fairly obvious padding. The first half of the show is particularly weak, and while the second half is a bit of an improvement, many of the sketches feel like they fall a little bit short of what they aim for. The night isn’t a complete wash, thanks to some interesting ideas (“A Dozen Eggs”, “Time Machine Trivia Game”), a Penn & Teller appearance, and strong music performances, but Teri Garr couldn’t bring the same boost the last few hosts gave to their shows.